Left Bridge was asked to design an Arts document that would set out the Cultural Strategy of the area, a brochure to celebrate local art and artists. From the original copy supplied, we suggested splitting the document into three areas - People, Place, Belonging. There was little in the way of imagery, so we introduced a simple hand painted brush stroke to bring a level of energy and movement to the static layouts. 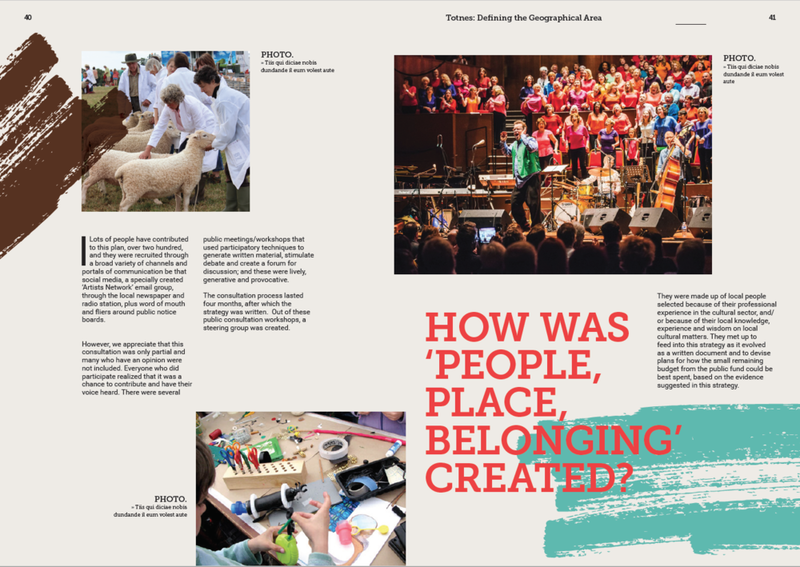 Playful bright colour was used a to tie together content areas within the large format brochure.